Forward-looking: Intel has announced that it will build America's first exascale supercomputer—a system that can perform a quintillion calculations per second. 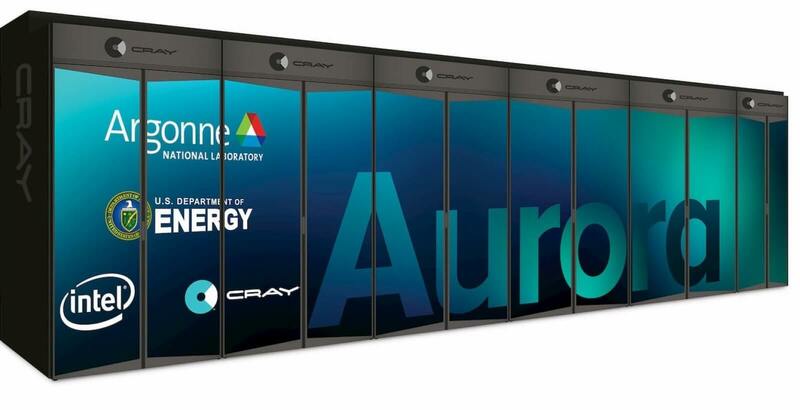 Along with subcontractor Cray, the tech giant will develop the machine, expected to be ready by 2021, for the Department of Energy’s Argonne National Laboratory in Chicago. The $500 million Aurora supercomputer will be powered by Intel’s future Xeon Scalable processor— Intel Xᵉ—alongside Optane DC memory, the X compute architecture, and Intel's ONE API suite of developer tools. Cray will be providing its Shasta system architecture, which can support multiple CPUs, GPUs, and high-performance interconnects such as Slingshot. Secretary of Energy Rick Perry, who attended yesterday’s announcement ceremony, said, "Achieving exascale is imperative, not only to better the scientific community, but also to better the lives of everyday Americans." Aurora will have a wide range of uses, from predicting how patients will respond to experimental drugs, to extreme-scale cosmological simulations, to helping develop more efficient organic solar cells and other materials. In the world of supercomputers, the US is constantly competing with China. America currently has the world’s fastest machine—the 200 petaflop Summit—but it has fewer computers (108) than China (229) in the TOP500 rankings. The US might not be the first country to build an exascale computer. China said it has already put into operation a prototype exascale machine, and it expects the final version to be ready by the second half of 2020 or the first half of 2021. Japan, meanwhile, hopes its Post-K exascale computer will be ready by next year.